DLF Ltd, the country’s largest real estate developer by market cap, is not able to match its plans to deflate its ballooning debt through asset monetisation. The firm managed to cut its debt by a mere Rs 33 crore last quarter and ended with net debt of Rs 22,725 crore as of March 31, 2012. The company's gross debt at the end of the March quarter stood at Rs 24,238 crore. Higher debt on the books is eating up margins and DLF saw an interest outgo of around Rs 2,246 crore for the year ended March 31, 2012, up 30 per cent over the previous financial year. In an earnings conference call on Thursday, the company management tried to assuage analysts that the firm would soon see through asset sale to deleverage the balance sheet. The company said it is expecting to close the transaction for its windmill portfolio, the Bombay Mills property (the land acquired from National Textile Corporation in Lower Parel, Mumbai) and Aman Resorts business in the next six months. But, analysts tracking the real estate sector feel the firm needs to show some concrete moves in selling assets. The windmill asset and Aman Resorts put together have a debt of Rs 1,700 crore. DLF has been trying to sell these assets for the last two years without any success. The Gurgaon-based realtor has indicated that whatever amount it will generate from the asset sale it will use around Rs 1,000 crore for investing in further land acquisitions and construction costs. This means even if the asset sale materializes not all of it will go in paring the outstanding debt. The company had earlier launched its Mall of India retail project spread across 3.5 million sqft area in Gurgaon but it has now been pushed to the backburner. Under its commercial property business it has undertaken net leasing of 1.41 million sqft in FY12 as against 4.38 million sqft in FY11. In its residential segment, the developer clocked gross bookings of 13.5 million sqft in FY 12 as opposed to 10 million sqft in FY11. For the quarter ended March 31, 2012, the firm reported 38.5 per cent decline in net profit over the year ago period to Rs 211.7 crore while sales were down 2.5 per cent to Rs 2,616.78 crore. 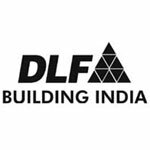 In the last quarter, DLF took a one time hit of Rs 300 crore as construction cost after it moved its construction contracts to other third party firms like L&T and Shapoorji & Pallonji. For the full year ended March 31, 2012, the company reported 26 per cent drop in consolidated net profit over the previous year to Rs 1,208 crore while net sales inched up 0.7 per cent to Rs 9,629.3 crore. The debt laden company is also going to undertake a change in accounting method policy in coming quarters and it has re-introduced cost escalation charges in its agreements. The cost escalation will take place in proportion to the RBI index on raw material rate escalation for construction of projects. It is the first time the company will take this methodology and will implement on its next project.